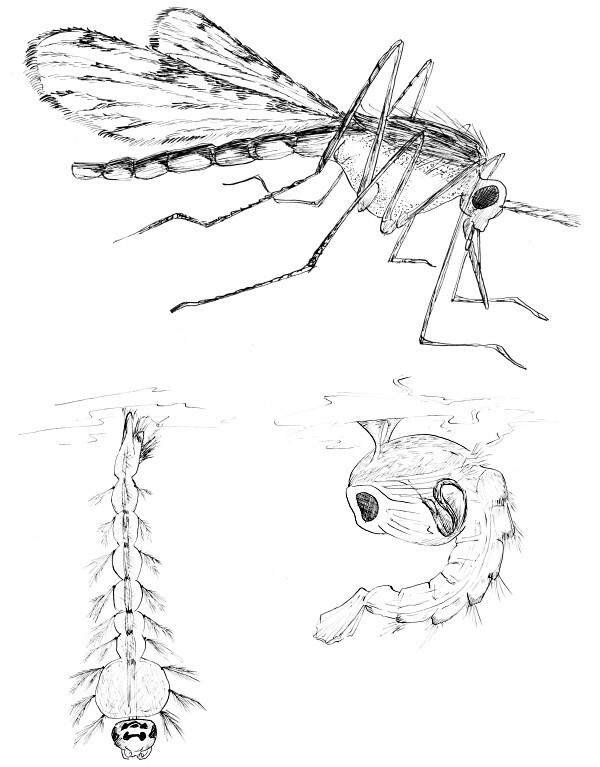 The malaria mosquito, my model animal. Top - adult; bottom left - larva; bottom right - pupa. This was drawn and inked in May 2005, as an illustration for my doctoral thesis.